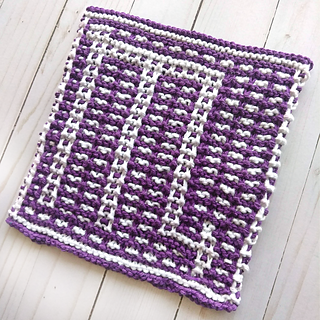 The water sign Scorpio dishcloth has arrived. 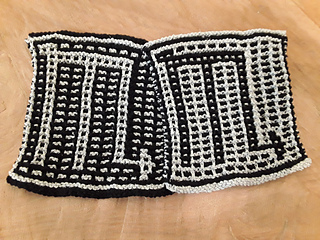 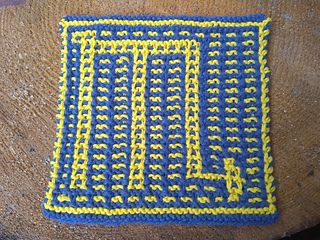 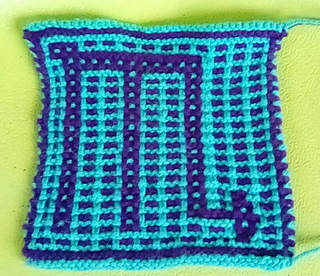 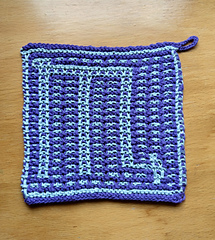 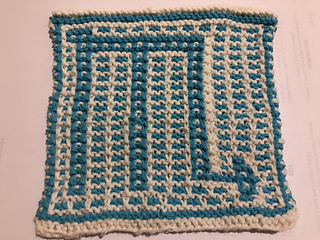 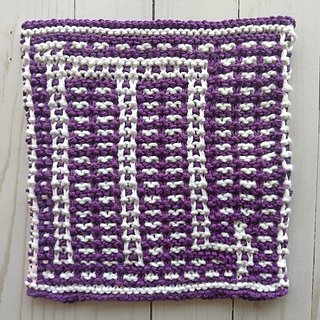 The Scorpio symbol is worked up in mosaic stitch, using one colour at a time, for a beginner friendly project. 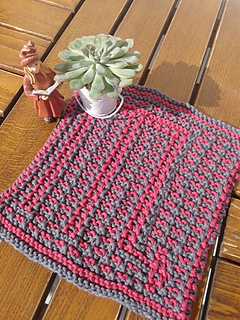 Using about 50 yards each of two colours, it’s a great introduction to mosaic knitting. 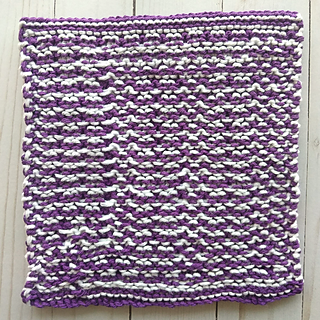 If you can knit & slip stitches, you can do it!